If you are looking to turn over a healthy new leaf this year, Slimming World is a popular choice to help cut down on the calories. 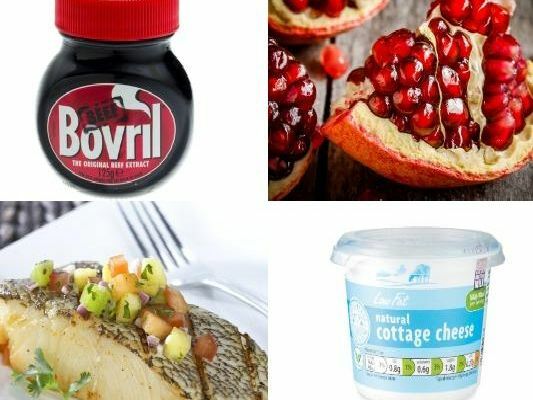 Those following Slimming World's healthy eating plan are allowed to consume a maximum of 15 syns per day, but there are plenty of tasty items that are on offer for a little indulgence. Syns represent the calories contained in different foods, with each item allocated a certain number of syns depending on how healthy it is. Many low calorie foods (such as vegetables, eggs and grains) are syn-free, meaning there is no restriction on how many of them can be eaten. Ideal for adding a splash of flavour to a dish, Aldi's tomato puree is completely syn free so meals no longer have to be bland and boring. The fruity seeds are not only good for you, they are pretty tasty too - and perfect for snacking on the go. There are a whole range of fruits to be enjoyed syn free providing they are eaten in their raw state, either fresh or frozen, including apples, peaches, pineapple, bananas and pears. As well as fruit, dieters can tuck into an array of fish syn free as long as it is cooked without using fat. Haddock, plaice, sea bass, prawns, scallops, kippers and tuna are among those on the list.